Bar Hop a Different kind of Awesome! Bar Hopping in Cozumel is a different kind of Awesome! Bar Hopping in Cozumel doesn´t take you to a bunch or random bars in Cozumel. We could run you to the nearest bars so that you could hop off the bus and drink. However, that would mean missing out on what Cozumel really has to offer. The east side of Cozumel is known for its natural beauty. With the open Caribbean Sea as the backdrop, it´s ideal for some amazing photos. It really does call out to our inner photographer. Say CHEESE! Photos on the bar hop! 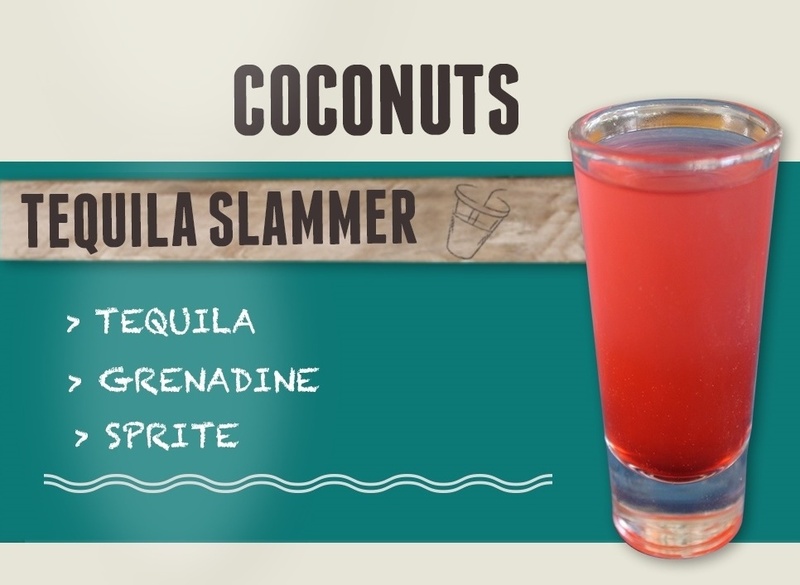 The Cozumel Bar Hop will take you to some of the best bars in Cozumel. One of the things that make these bars so great are the striking locations. Each of the Cozumel beach bars we visit has great scenery that will blow you away. There are so many great places for pictures at each one of the stops on the Bar Hop Tour. Whether you want to get a good shot from the cove area at Punta Morena, or from the high vantage points at Coconuts bar, you will definitely get some spectacular shots! This tour was personally recommended by a friend and was the main highlight of our recent cruise (Don’t be confused by competitors with a similar name). This is a perfect tour for those wanting to get away from the tourist traps on the island and is perfect for a cruise ship excursion or for someone vacationing on the island. As a local resident, our tour guide Colleen was very insightful and entertaining. She had a story and history of the all the sites we saw and the bars we visited. Each bar visited had its own distinctive flare and the beaches and views were absolutely spectacular! We were in a late model van with cold A/C and our driver Javier was great! 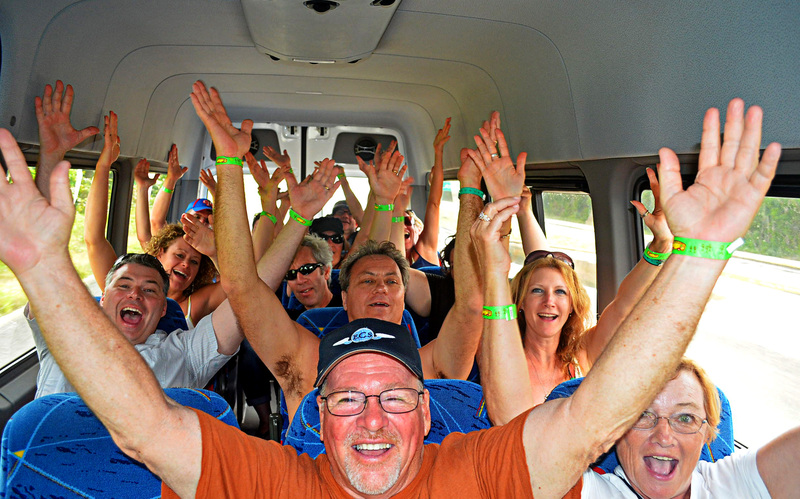 We look forward to doing this again as a FoHo (former hopper) on our next trip to Cozumel! This is what we love and we know that you take your memories with you as you travel to new places around the globe. Keeping in Touch! Where have You been since your Bar Hop in Cozumel? As other Fo-Hos have stated, Bar Hopping with us is highlighted not just by our service, but also by the people you meet on the tour! Many of you Fo-Hos have become friends with your fellow Fo-Hos. It´s also obvious that many of you stay in touch with them and with us as part of our active community on Facebook and our other Social networks. 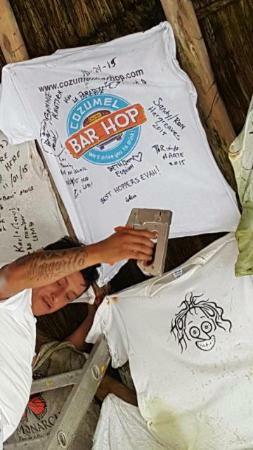 We love receiving your pictures that you send us or post wearing your Cozumel Bar Hop T-shirts in unique places around the world. We have received pictures of Fo-Hos wearing their Bar Hop T-shirts everywhere. From the Texas Crawfish and Music Festival, all the way to the Great Wall of China! This has sparked a trend for our Fo-Hos. Now because of that, we want to share your stories with the rest. It´s easy, just snap a picture wearing your Cozumel Bar Hop t-shirt in any unique place you travel and send it in with your story. We’ll feature it on our blog and share it with your Fo-Ho community on social media! 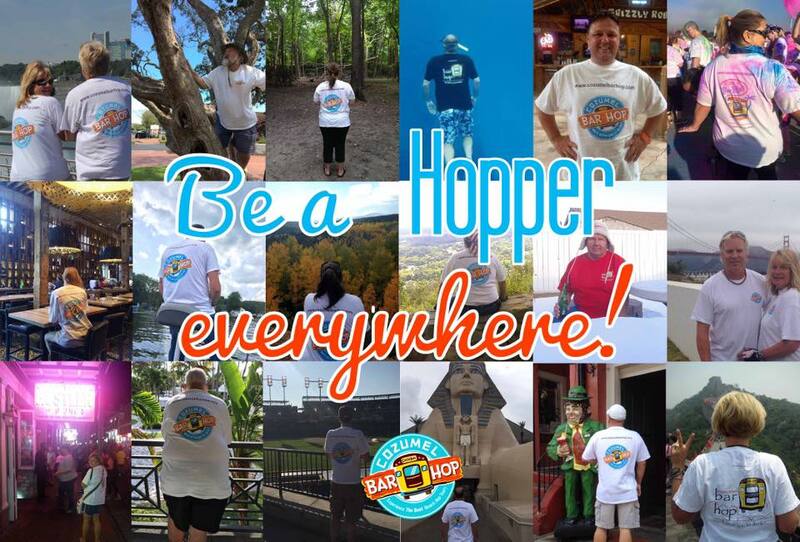 So bring out your inner photographer and let us know where you have taken your Bar Hop Tee. This way we can keep our army of Fo-Hos growing! 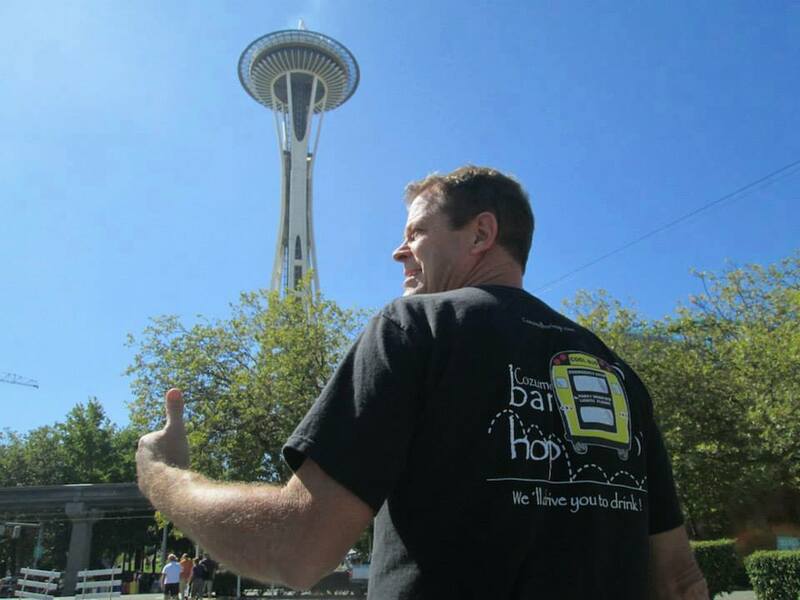 If you want to send us your Bar Hop T-shirt pictures and travel stories you can send it to us on Facebook or by email. Until next time amigos! From Novice Hopper to Ninja Level Fo-Ho! your record, and of course we think you’re awesome and we salute you! yet had the pleasure of hopping with him! We introduce you to our amigo Bob Eck, a former pilot and self-ordained Mayan Ambassador. 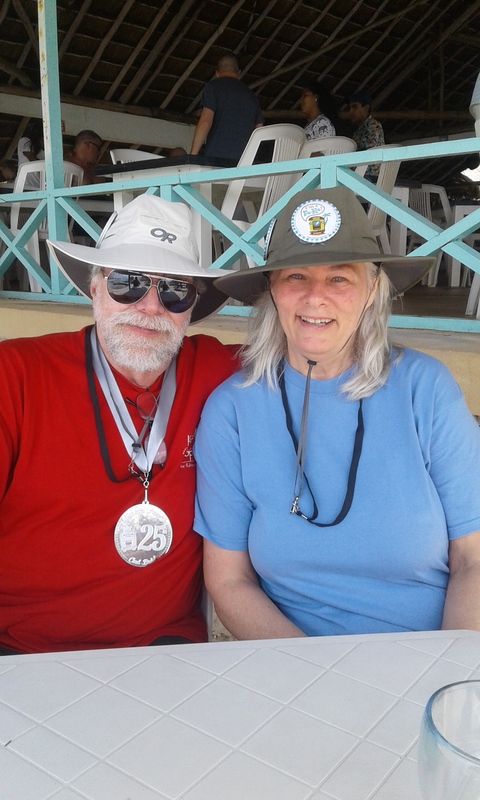 Now Bob is not just any Fo-Ho, this past month Bob added to his personal best record and has now done the Cozumel Bar Hop Tour 26 times! 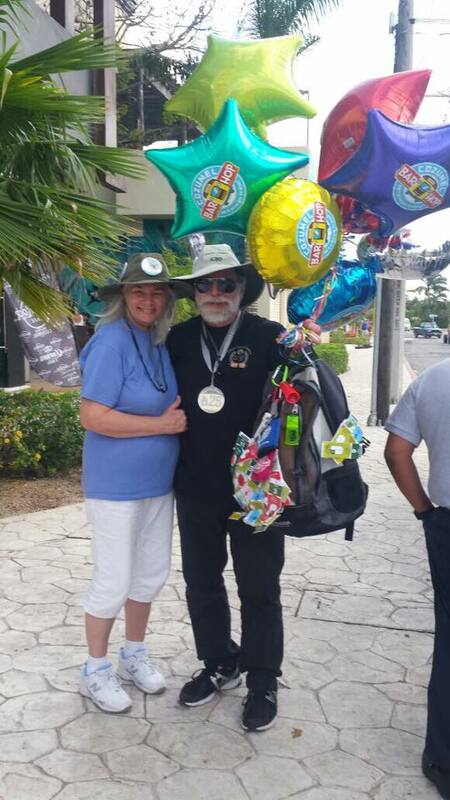 Bob reached a milestone on March 6th by marking his 25th Bar Hop in Cozumel! Since Bob has hopped so many times with us, he has now received the glorious title of NINJA LEVEL HOPPER! doubt be keeping pace with her hubby! How do you become a Ninja Level Hopper?? times a year. Now, Bob told me they cruise about 12 times a year! So with such frequent visits to the island, it´s obviously a record that isn´t going to be broken anytime soon. I asked Bob why they always choose Cozumel on their cruise and it turns out that a lot of it has to do with the fact that it is just so convenient for them. Since they live in Florida they don´t really need to make any big travel arrangements. It’s easy for them to just hop on the cruise ship and come on down. Knowing that Bob and Robinn, and so many of you Fo-Hos have made many great friends here is something that we are proud of. 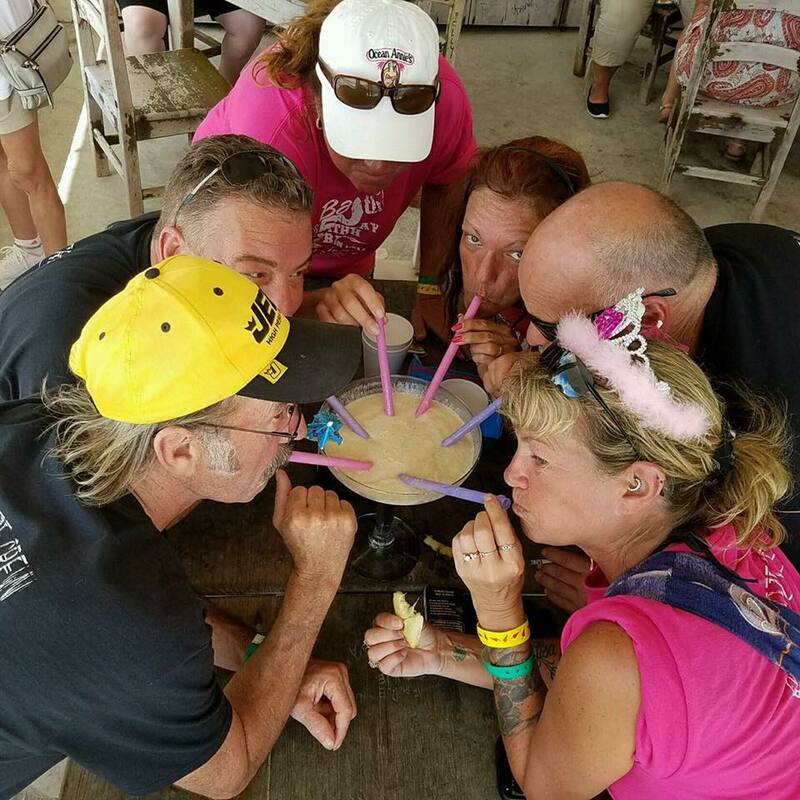 Like Bob, many of you have made friends on the Hop with whom you have stayed in touch and reunited with on more than just the Bar Hop in Cozumel. Reaching Ninja Level Hopper can take some time since Bob started hopping back in 2010. But don’t worry we know you can do it too! Of course, it helps to live a short drive from a cruise ship home port and being retired, lol! Hoppers are Fo-Ho’s! What about you? you just might be a Fo-Ho! 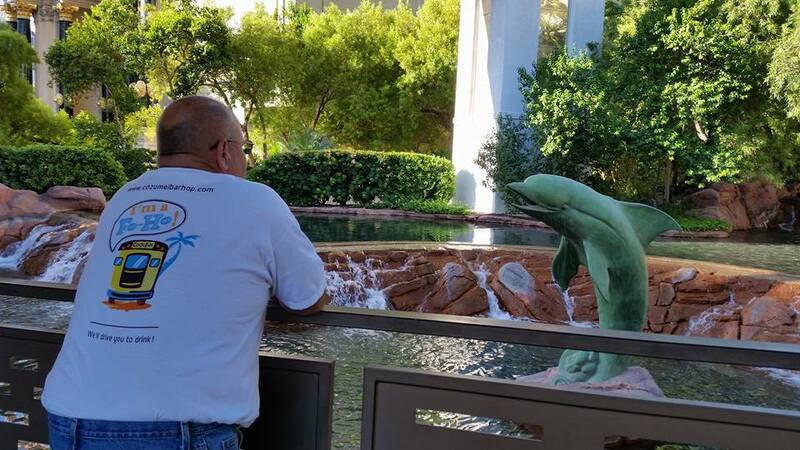 lasting friendships with our guests. I’m sure that you probably noticed that we keep mentioning the term Fo-Ho here in this post, but not to worry, it’s nothing offensive! it’s actually quite simple. Fo-ho is a term that we have coined that means FOrmer HOpper! 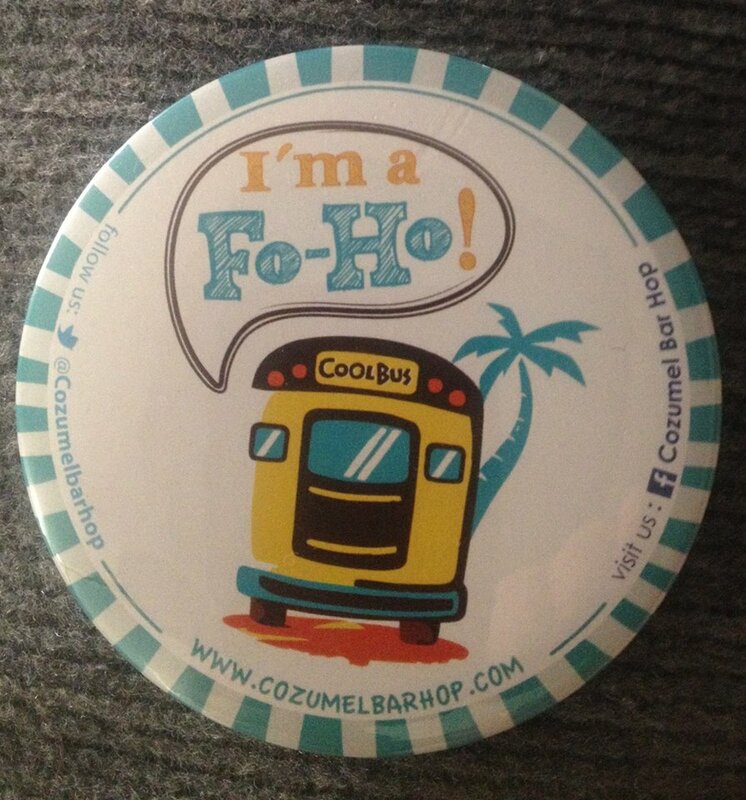 Cozumel Bar Hop with us and you can be a Fo-Ho too! Trust me being a Fo-Ho is great! But don’t take my word for it, just listen to what some of other, Fellow Hoppers are saying. with each trip to Cozumel. Just one example of this is our good Friend and NINJA LEVEL FO-HO, Bob Eck who is one of our most experienced Hoppers to date. Bob has hopped with us 26 times and counting!!! Bob’s Wife Robin, is up to 11! Now that she’s retired, that number is bound to increase rapidly! 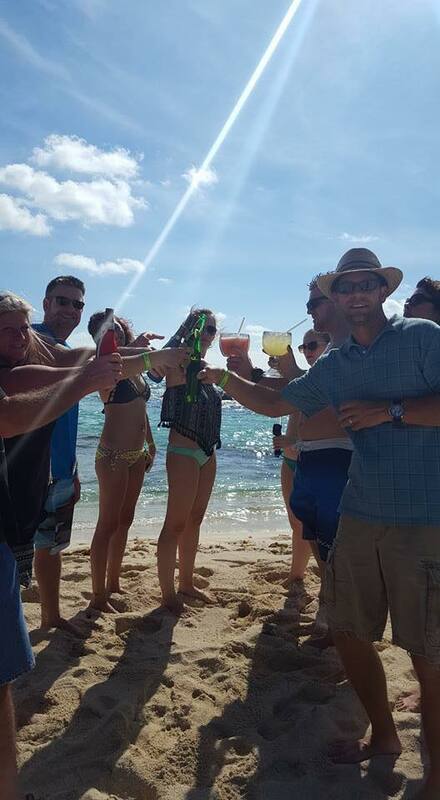 Bar Hopping in Cozumel is becoming a ritual for many of our awesome guests who come back time and time again! They also stay active with us on Social Media over the long distances! Staying in touch with not just us, but also so many other fellow Hoppers as well. been for this tour. Sergio was wonderful. So friendly and knowledgeable. 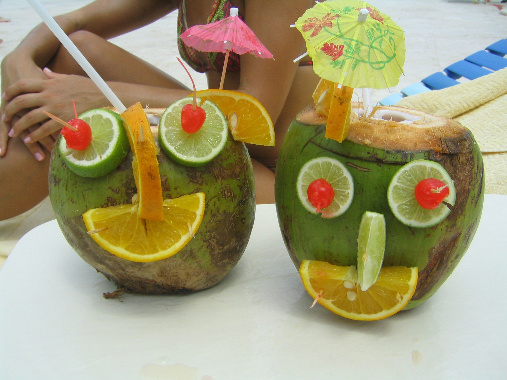 That is really one of the things that make Cozumel Bar Hop so great! It really is one of the best ways to meet fellow travelers with whom you want to stay in touch. This is why we always say we have the BEST FANS around! profiles and you’ll see how great our Fellow Hoppers are! Come be a Fo-Ho too! A Welcome Shot on the Cozumel Bar Hop! Rockstar, because this is your reward for all that hard work all year long! that you get to try at each stop on your Hop! A Welcome, Welcome to the Hop! right!? It is! A nice smooth shot to ease into our day. away now, we still have more! you ready for relaxing on the beautiful beach here. Feelin’ Hoppy yet? What a trip! 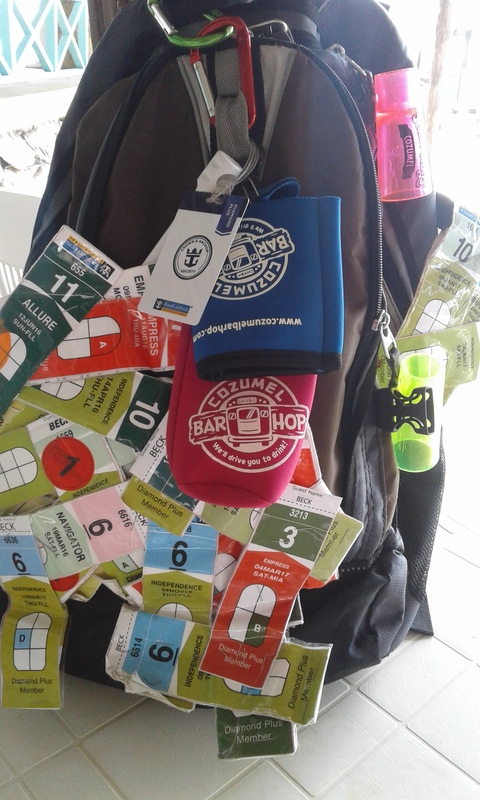 You just got an idea of the great Welcome shots on our Bar Hop. Hola Hoppers! Even if you have not yet had the pleasure of touring with us, we are sure that you are a hopper at heart! So amigos, with that said, we know that as December approaches, you will want to get away for a little while. Everyone has their ideal Winter getaway in mind and for some of you, if not most, that place you envision in your head is somewhere warm, somewhere inviting and comforting. Hey, sounds like Cozumel! Obviously the island offers plenty of warmth, excellent food, great people, and unique experiences. Aside from those obvious reasons, there are so many great things to do in Cozumel, making it a perfect vacation spot for anyone looking to have fun during these normally frigid months. Thanks to our terrific weather, you will always have many things to do, regardless of the time of the year. That said, our Cozumel Bar Hop Tour on the “wilder” side of the island is definitely one of those things that will help you forget about work and the stresses of everyday life, giving you access to beaches, amazing food and drink, gorgeous scenery, and experiences that take advantage of this gorgeous weather. Take a step away from the touristy locations, and see what there is to discover away from all the large crowds on those excursions offered through the cruise ships and hotels! When you hear or see the word, “Caribbean”, you almost automatically form an image in your mind of long white sandy beaches like something out of a Corona commercial. Maybe, even a beer and a hammock! As you Hoppers all know, the east side of the island is the wild side where all of the most beautiful beaches are located. Sometimes visitors get off the cruise ship, look around and wonder where the beaches are. I know I had to explain it to newcomers before! Not to worry though we have got you covered. 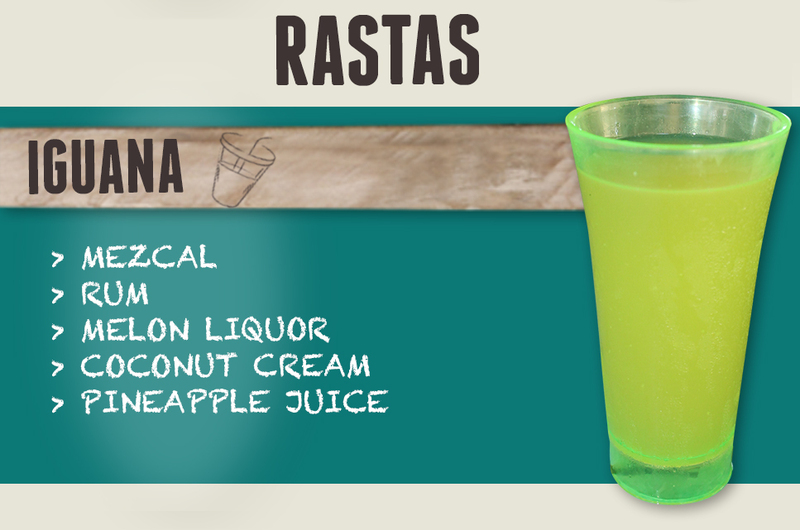 Cozumel Bar Hop takes you to some of the best Beaches and Bars on the island, like our first stop, Punta Morena. 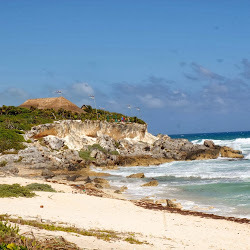 Punta Morena is closer to the north eastern side of the island and has so much to offer. 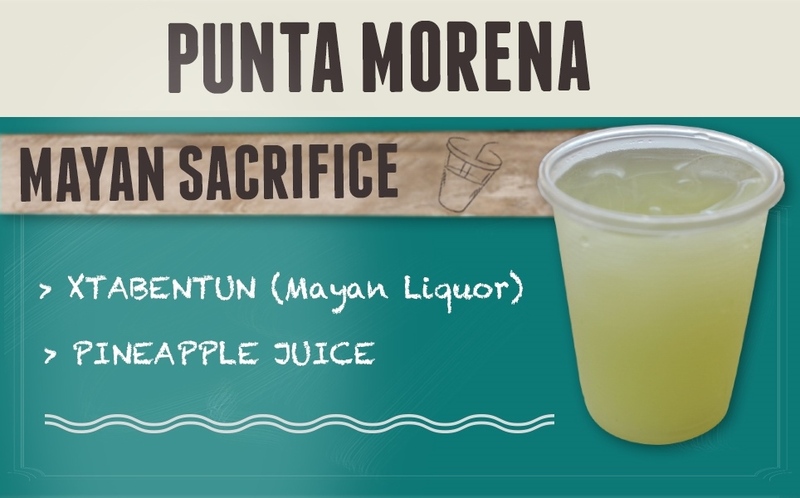 Upon arrival, you will be welcomed with their signature welcome shot, the “MAYAN SACRIFICE!” This awesome drink is made with Xtabentun (Mayan Liquor) and Pineapple Juice. Then enjoy what is most appealing to you, as there is definitely something for everyone here at each stop on your hop! Punta Morena has just about everything that you can find at all of those crowded cruise ship beaches on the west side, except the crowds! Apart from the obvious things, you will find a salt-water swimming pool, a dedicated tequila bar, a massage area close to the soothing sounds of the ocean, a fish spa and great menu featuring fresh ceviches! Other highlights include a sandy bottomed natural pool right among the rocks on the beach, which protects from the waves, and a long stretch of beautiful sandy shoreline where you can beachcomb to heart’s content! So, hoppers and future hoppers, visit us and make new friends and really make the most of your Cozumel vacation, because after all, it’s your reward. See you soon amigos!